For hassle-free oil extraction, oil producers should look into equipment from top manufacturers and have a good reputation on the market. The fact that they are well-known manufacturers means they have access to the latest technologies to deliver products with advanced capabilities. Oil companies seem to be facing a hurdle these days due to the increase in operational expenses. 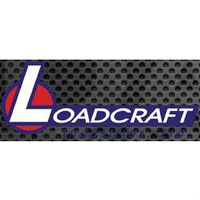 To make up for this, they should rely on quality equipment from established designers and manufacturers like Loadcraft Industries, Ltd. This company also offers a parts and field service distribution to repair any faulty components and restore the equipment to normal.